Learn how to identify the most spectacular specimens of autumn foliage. Fall is the most colorful time of the year. As the season and the leaves change, people are trying to get the best views of the beautiful autumn foliage. Throughout October, trees across the country are showing off spectacular colors. Towns quickly find themselves surrounded by beautiful shades of red, orange, yellow and purple as the seasons change. Take advantage of this natural splendor and get to know these colorful trees by learning how to identify them. Whether you want to enjoy the views or take great photos, beautiful hues are on display from coast to coast, and everywhere in between. Out of the hundreds of species that provide amazing fall color, these five produce some of the most stunning transformations. Style, grace and dignity — the sugar maple has it all. 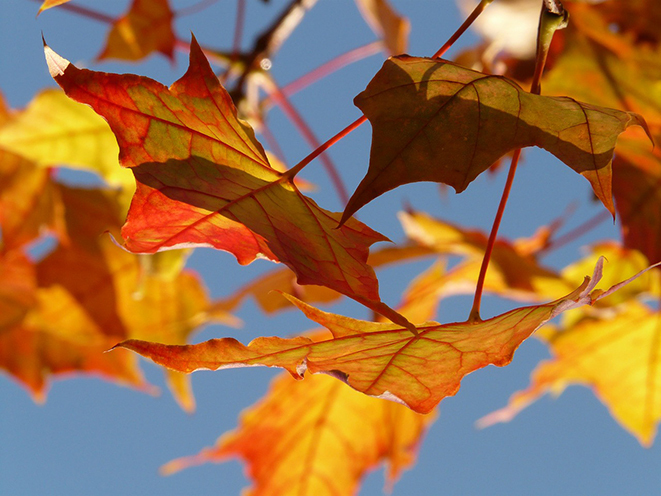 The iconic leaves of the sugar maple top our list for the best fall foliage. Though this tree is loved for its maple-sugar sap, it also produces a brilliant look at the end of the season. Featuring 5-inch leaves with 3-5 toothed lobes, the sugar maple’s autumn foliage morphs from gold, yellow and fiery orange to an unmatched deep red. Sugar maples are an exceptional tree whether planted in your backyard or growing in the wild. Native to the eastern and mid-western U.S., sugar maples grow almost anywhere in USDA zones 2 to 10. The red maple adds just the right amount of red to the landscape each season —tiny winter buds, beautiful spring flowers, leaf stalks in summer, and intense autumn foliage. But don’t let its name fool you. Red maples have fall colors that vary from bright yellow to burgundy. These on-going colors, combined with the red maple's relatively fast growth and tolerance of soils, makes it a North American favorite. You’ll find red maples throughout USDA zones 3 through 9. These trees grow in oval, rounded or upright shapes. 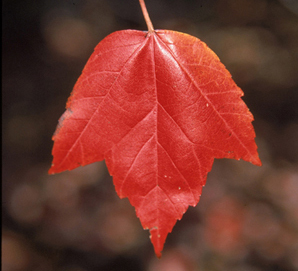 Distinguish the leaves a red maple from other maple trees by looking for leaves that are slightly smaller than other species with distinct saw-like serrated edges. While root beer made from sassafras roots is delightful, the tree’s fall color is equally enchanting. 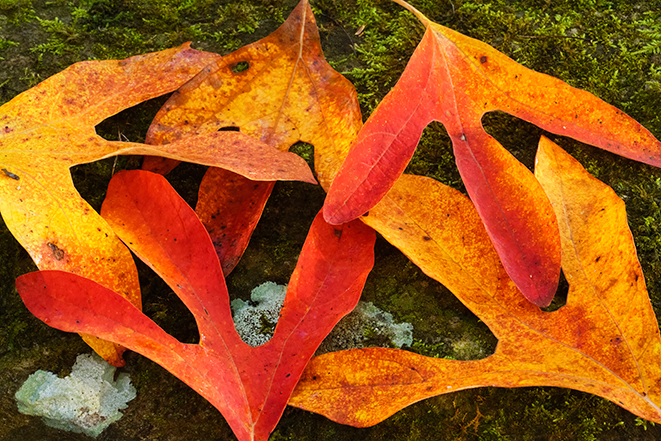 sassafras leaves display beautiful reds, purples, yellows and oranges. As a bonus, sassafras is beloved for its sweet smell and red-stemmed, dark blue berries that attract birds. To identify sassafras, look for three different shaped leaves on one tree – a mitten, a three-lobed leaf and an oval leaf. Hardy in USDA zones 4 through 9, this medium–to-fast growing tree is native to North America. Both elegant and versatile, Japanese maple trees are true chameleons. Some go from intense red in spring, green in summer and welcome fall with yellow and orange. 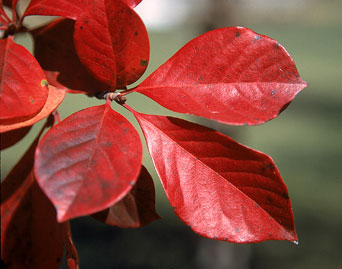 Others start red and stay red throughout the fall. Leaves can be palm-shaped or lacy with five to seven lobes. 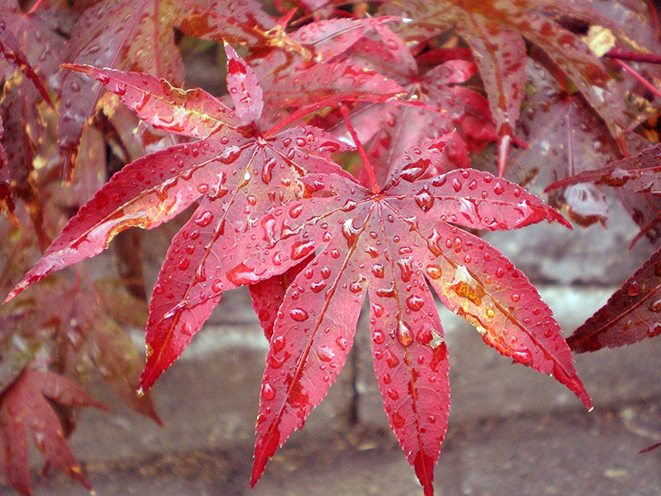 Japanese maples grow best in USDA zones 6 through 8, but can be hardy as far north as zone 4b. The black gum tree, or black tupelo as it’s sometimes known, is a standout star of autumn. You’ll find varying hues of peach and wine-red often on the same branch. Its interesting bark, which resembles alligator hide, also makes this tree an exceptional choice for fall. The black gum tree has oval-shaped leaves with a rounded base. These trees grow to a height of 30 to 50 feet tall. Bees love this tree for its late spring blooms. Find black gum in USDA zones 4 through 9. Whether traveling by car, train, boat or your own two feet, be sure to fully enjoy this year’s fall colors. You can even find the amazing colors in your own backyard. Remember that healthy, well cared for trees showcase the most glorious leaf colors. To promote your trees’ ability to offer their best fall color, talk to a certified arborist, like those at Davey Tree.